Use for : Students, Writers, Artists. 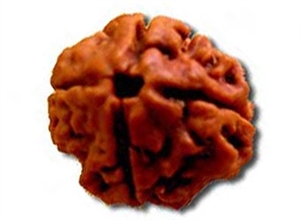 4 Mukhi Rudraksha is the symbol of four Veda. The person who wears this Rudraksha after proper Sidhhi ( method of purification & charging with Mantra) will get the knowledge of four Vedas. This Rudraksha removes laziness, excess sleeps, and problem of unwanted dreams. The wearer of this Rudraksha never accept his defeat and remain firm on his words. This Rudraksha help in getting success in every field. This Rudraksha also represent four directions. Therefore the wearer gets success in all works in all the direction. This Rudraksha helps in winning each and every task of the wearer and in the end provide Moksha ( liberation). 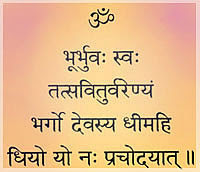 Note : Above details are taken from ancient handwritten text and Gurumukha. The description is seen in the deep meditation of Lord Shiva by Lord Datta Treya. 4 faced Rudraksha has four natural lines from head to bottom at equal distance. The power of Brahma exists in its whole effectiveness and Divinity. Being influenced by the creative wisdom of the four headed Lord Brahma, it gives the wearer the creative power and provides him learning and knowledge. The dull mined students must wear it. And it is beneficial to scientists, researchers, intellectuals, artists, writers and journalists. It increases wit and intelligence. If the three beads of four faced Rudraksha are fastened in the right hand nobody can be stand to face to the wearer. In mythology it represents Goddess Saraswati and Brahma. Malefic effects of Mercury include intellectual dullness of mind, lack of grasping and understanding power, difficulty in effective communication and also neurotic conditions of mind. This Mukhi also governs logical and concrete and structural thinking.